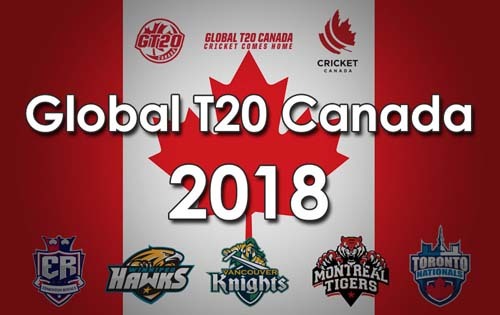 In a happening day at the Global T20 Canada League, Cricket West Indies B stormed into the Playoffs while Edmonton Royals showed their class by chasing a 200+ total. After openers Kamran Akmal (1) and Johnson Charles (8) could not go big, Steve Smith (55) and Anton Devcich (21) tried to play cautiously so as to redeem the team out of trouble. However, after a while when they tried to accelerate, the Windies B bowlers put a stranglehold around them and did not allow them to score freely. Even batsmen like Steve Smith and Darren Sammy (23) could not cut loose after trying very hard. For Windies B, Justin Greaves (4-20-2), Derval Green (4-22-1) and Sherfane Rutherford (4-21-1) were the chief bowlers as they came up with exceptionally economical figure. In reply, the Windies B team chased it as comfortably as it could have been. Opener Justin Greaves (45) and Sherfane Rutherford (37) expressed themselves with this the bat as well. When this, the CWI B team has won all its four games and has become the first team to qualify for the playoffs. In a high scoring match, the horror run of David Warner (0) continued as he was just dismissed by Mohammad Irfan (4-29-2) on the very first ball that he faced. 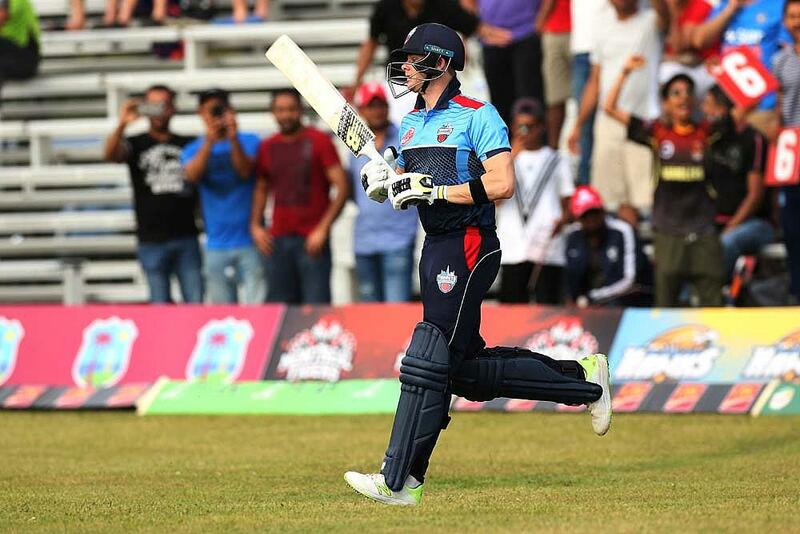 However Lendl Simmons, Mark Deyal and David Miller scored impressive 60s to take Winnipeg Hawks beyond 200. For Edmonton Royals, Mohammad Irfan and Agha Salman bagged two wickets each. The mammoth target saw Andre Fletcher (47), Agha Salman (73) and Farhaan Behardien (62) played explosive knocks. It was then left to Shahid Afridi to score 13 runs off 3 balls to take Edmonton Royals to victory with 3 balls remaining. For Winnipeg Hawks, Fidel Edwards impressed yet again with figures of 4-33-2.